Colour: 4 Colours Black, Cyan, Magenta, Yellow. Call Cartridge Care Today On 0161 738 1001 For Prices & Availability. 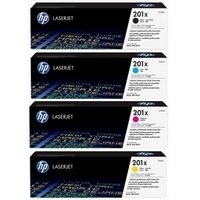 This entry was tagged 201A, 201X, CF400A, CF400X, CF401A, CF401X, CF402A, CF402X, CF403A, CF403X, Cheap HP 201 Toner Cartridges, Compatible HP 201X Toner Cartridges, HP 201X, HP CF400X, HP CF401X, HP CF402X, HP CF403X, HP Colour LaserJet Pro M252dw toner cartridges Bury, HP Colour LaserJet Pro M252n toner cartridges Bury, HP Colour LaserJet Pro MFP M277dw toner cartridges Bury, HP Colour LaserJet Pro MFP M277n toner cartridges Bury, HP Toner Cartridge Bury, HP Toner Cartridges Bolton, HP Toner Cartridges Bury, Ink Cartridges Bolton, Toner Cartridge Bury, Toner cartridges Bolton, Toner Cartridges Bury. Bookmark the permalink.